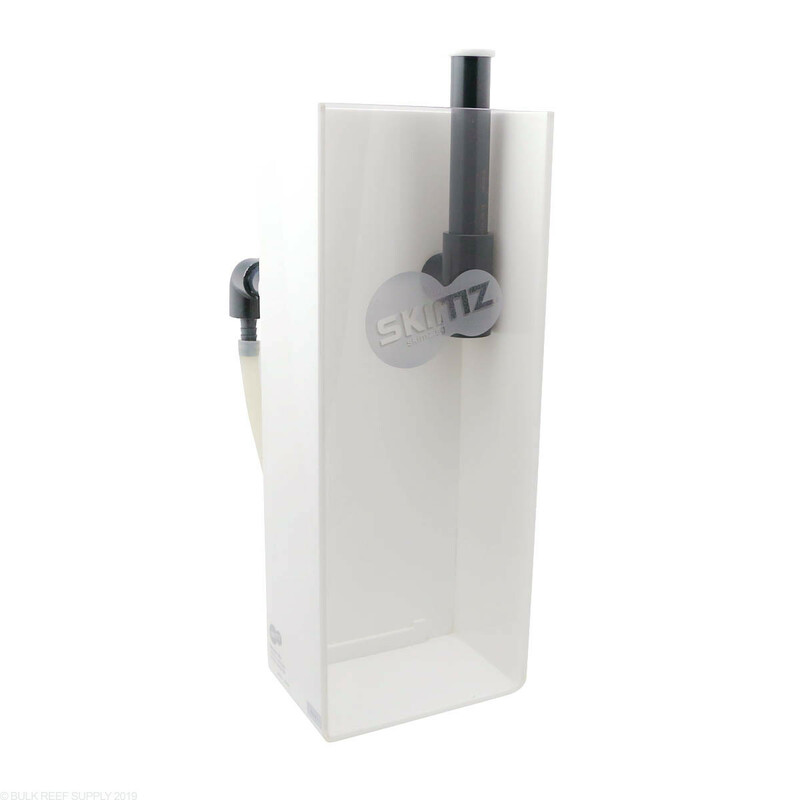 The Skimz Monzter SH2 is actually the Skimz Monzter SH1 with an extra unit for a bit more capacity making it an external skimmer. The SH1 mounts easily into the SH2 with the mounting magnets from the SH1. The SH2 also has a mounting bracket that helps hold the SH1 in place. SH1 unit mounts magnetically and SH2 has a hanging bracket. Follow manufacturer instructions for installation. I like this skimmer design better than the one it is replacing. 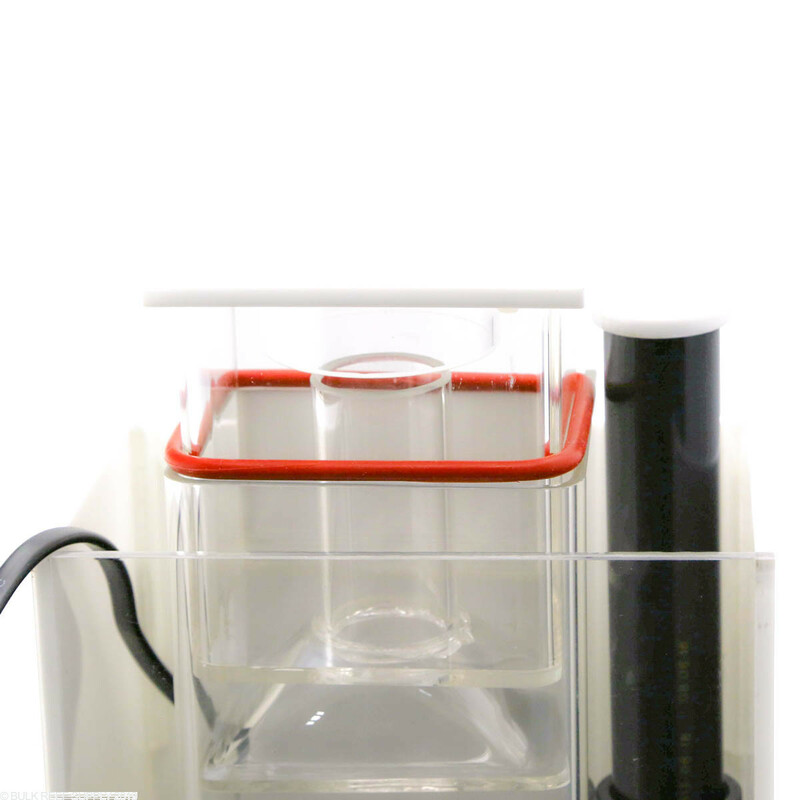 It comes with a hang-on back mini sump, and the skimmer body fits into the mini-sump. The skimmer pump is inside the mini-sump so there is no possibility of pump leaking onto the floor. Leaks from the collection cup end up in the mini sump too not the floor. 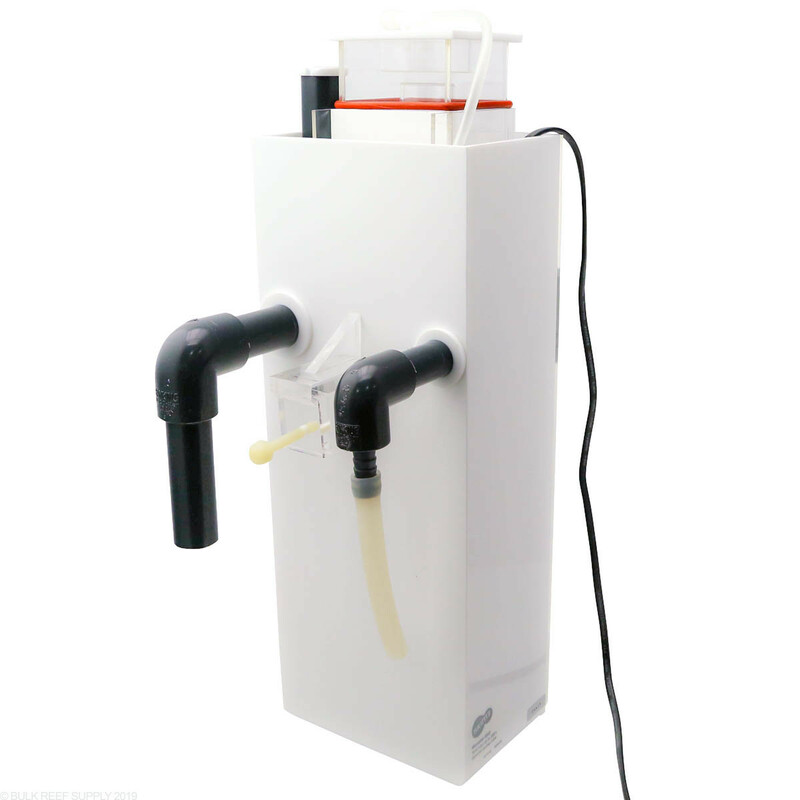 This skimmer does require purchasing a separate submersible pump that goes in the aquarium. I don't mind it though because it makes priming the skimmer pump a lot easier. It took 2-3 days to break in and start skimming. At first, it seemed under-powered, but, after running for about 1 week, I have collected about 1/4 cup of tea colored watery skimmate. I have a 37 gal tank with 2 damsel fish and 2 clown fish and feed every other day. The level control is touchy and changes throughout the day. Maybe it will settle in after more run time. Make small changes, wait a while, and recheck the level. If the level is not high enough, the foam will not travel up the column and into the cup. The mini-sump can overflow onto the floor if you stop and start the lift pump while the skimmer pump is running. The skimmer comes apart so cleaning the inside is easy. The skimmer pump connection to the bottom of the skimmer seems flimsy so make sure the pump is on straight. It is a bit loud and I am making constant level adjustments, so I gave it 4 stars. Got this because after a bunch of research i was certain that it would work great in my JBJ Nano 28 Gallon. It did fit but i had to sacrifice the center filter chamber that I keep my sponge, GFO, and Carbon in I also had to sacrifice my one pump that fed water back into the tank and use it for a feed pump(that was not in the description when I purchased it. I had the product up and running for about a day let me tell you it was pulling crap out of my tank in no time, it had almost a zero break in period to get that yuck out of my tank. +1 on the product its self, I can see where it would have some uses and from the short time I did test it, it worked great. 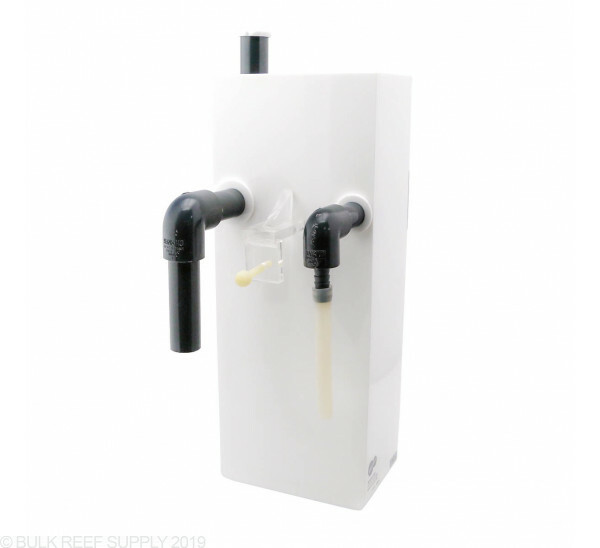 +10 for Bulk Reef Supply Customer Service, I had a problem, they took the time to talk to me and returned my calls when they said they would, we worked to find an agreement that I was satisfied with. 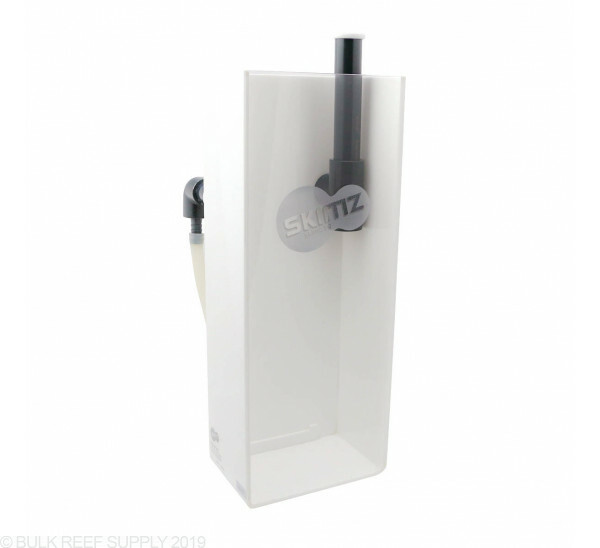 I will defiantly be purchasing from bulk Reef supply in the future, I will certainly purchase a skimz skimmer for my sump when I get my 120 up and running. I'm a little confused about what I get with this. 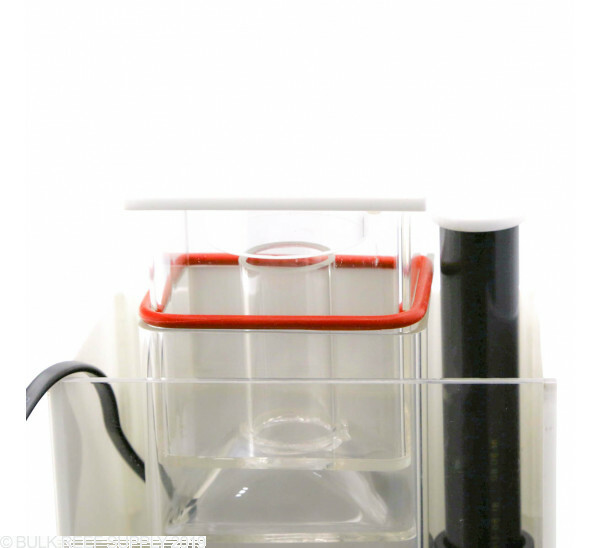 Is this a skimmer or a box to convert a skimmer? Also, one of the other comments below mentions one needs to buy a pump. Does this not come with one? This will include the Skimmer and the hang on back holding box fro the skimmer. you will need a separate feed pump to pump the water in and out of the hang on back box. 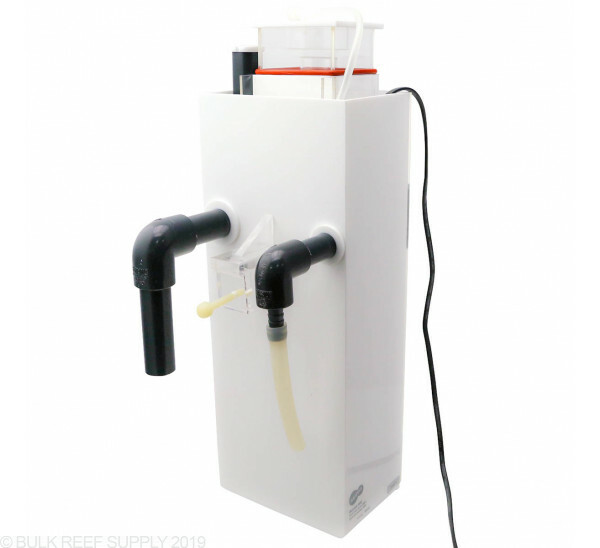 The feed pump will need to be a flow around 150 gph minimum and we recommend the MJ pumps by cobalt aquatics. Just to be clear, this is a HOB skimmer, correct? This is a Hang on Back skimmer. Feel free to let us know if you have any further questions! How does water get from tank to the box that the skim me sits in? Is an extra pimp needed? Or does it siphon once primed? 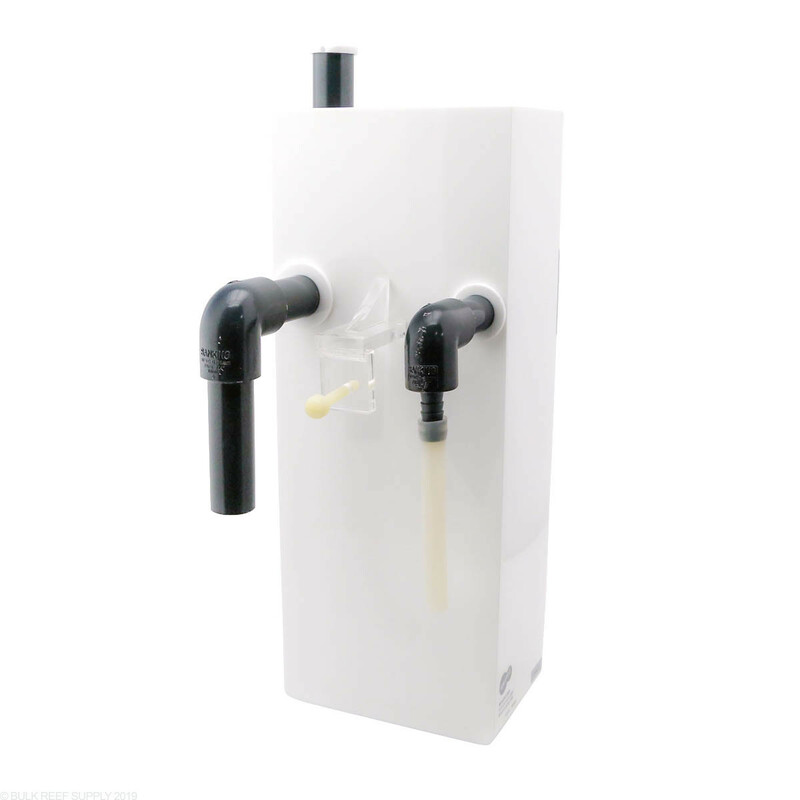 The skimmer box does require a feed pump. I personally would suggest the Cobalt Aquatics MJ1200 as it will supply plenty enough flow and is a pretty small and quiet pump.